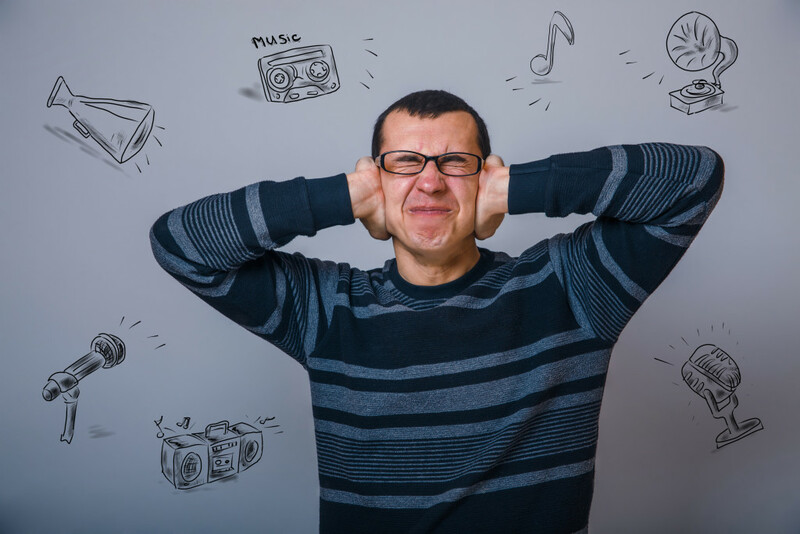 Noise-Induced Hearing Loss 101- Why do loud sounds damage your ears? As a licensed hearing aid fitter and dispenser, I see people dealing with the profound effects hearing loss has had on their relationships and quality of life daily. Despite this, as a musician, I understand that players need enough volume to feel the music and, more importantly, hear themselves over all of the other players. In a band setting, this typically means a cyclical scenario of everyone turning their state monitors up louder than necessary to hear clearly over the other players too-loud monitors. In a orchestral or acoustic setting, this can mean an instrumentalist playing more aggressively to be heard and potentially cause wrist strain in addition to hearing loss. The problem is not a new or rare one, but it is one that is often overlooked or given very little attention until it’s too late. Here’s a quick look at how your ear processes sound and how it incurs damage from loud noises. Sound waves are gathered by your outer ear. The shape of your outer ear, or pinna, puts extra emphases on high frequencies and creates a resonance around 3000kHz. In other words, pitches comparable to the notes in the very highest octave on a piano are naturally amplified more by the human ear. 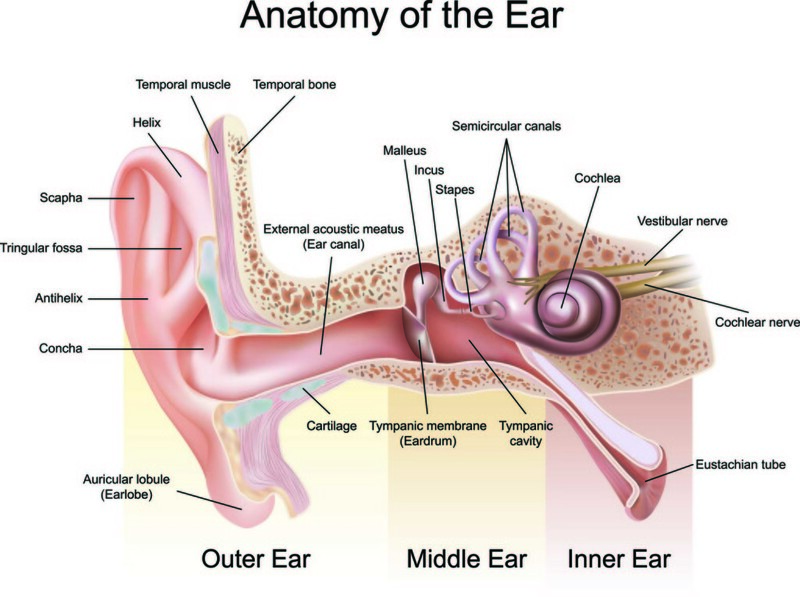 Sound travels through the ear canal where it reaches the ear drum and is handed off to the middle ear bones, or ossicles (hammer, anvil, stirrup). The process of funneling sound from the larger outer ear down to a tiny chain of bones amplifies sound at a ratio of about 27:1. Sound moves from the ossicles to the inner ear where the cochlea converts sound energy into electrical signals that can be processed by the auditory portion of the brain. Sound travels through the air as kinetic energy, hits the ear drums and converts to mechanical energy as it is passed across the ossicles. Finally the signal reaches the cochlea and converts to hydraulic energy as it moves through the fluids inside the cochlea. The cochlea is filled with tiny hair cells that detect specific frequencies and portions of sound waves. 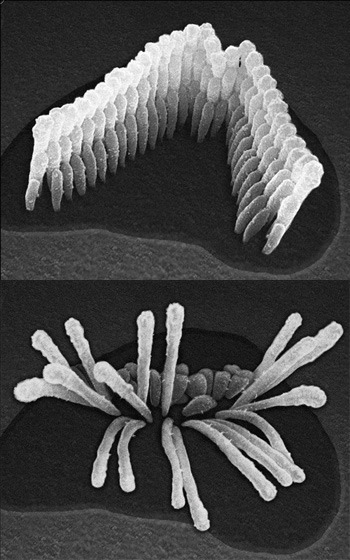 These hair cells relay signals through the nervous system to the auditory portion of the brain. 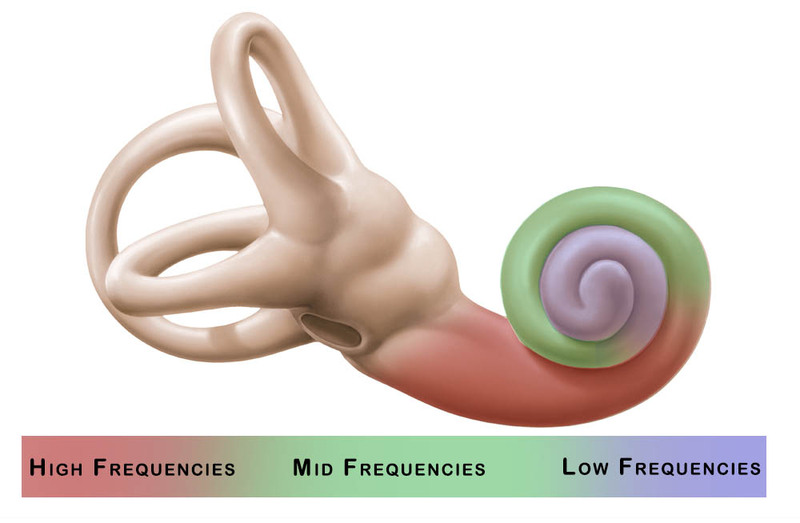 The hair cells at the opening of the cochlea are responsible for processing the highest frequencies. The less directional lower frequencies are processed by hair cells at the most inner part of the cochlea. The hair cells responsible for high frequencies are the most exposed, and therefor are damaged first. This is why many musicians, or anyone with noise induced hearing loss, loose high frequency hearing first. 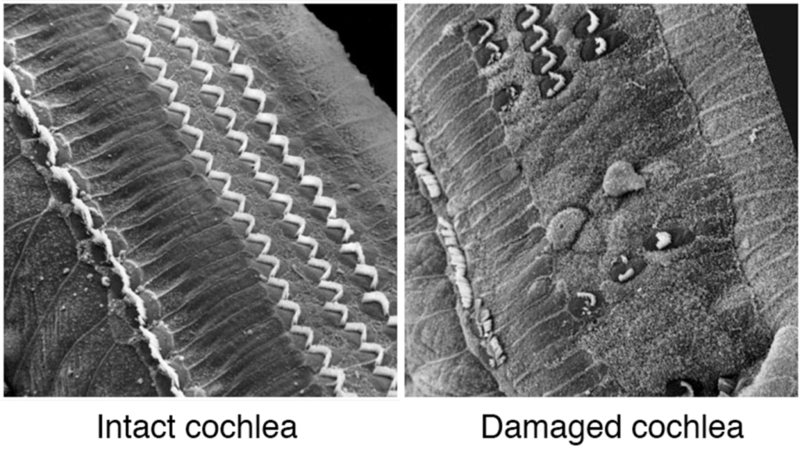 In the illustrations above, you can see exactly what damage to the inner ear looks like after noise exposure over time. There is currently no treatment to reverse damage to the inner ear, making prevention all the more important for those who treasure sound the most. Check back soon for part two of this blog. I’ll outline the leading ways for musicians to prevent noise-induced hearing loss without compromising sound quality while playing.